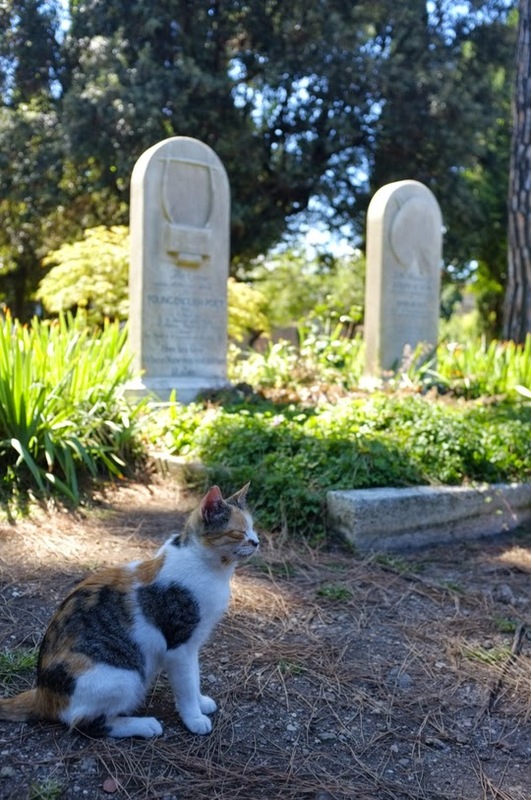 This traveling cat loves its poetry, because we found it at the gravesite of the English Romantic poet John Keats at the Protestant Cemetery in Rome, Italy. During the last months of his life, Keats lived near the city's famous Spanish Steps. He died of tuberculosis at age twenty-five. Pssst... Keats: Poetry Published In 1820 is currently free for Kindle. Find it here. Very cool, thanks for sharing! Happy WW! Hmmm yes, a thing of beauty and a joy forever, that cat. We had forgotten that Keats was buried there. Have a wonderful Wednesday. This is cool! Thanks for sharing and happy WW! A bit of inspiration...was much needed thanks! 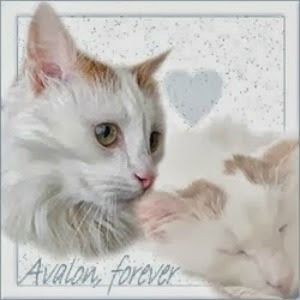 ❀ ✿ ❁ Merci chère Vanessa pour cette très belle photo du chat ! MAGNIFIQUE !!! 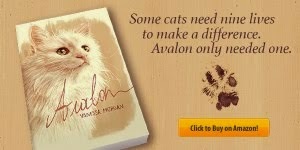 Jouw serie Katten over de hele wereld vind ik zelf bijzonder mooi... bedankt Vanessa! Lovely photo! Have a nice day Vanessa. A cat IS poetry. :) Lovely pic. What a little cutie! Calico? I had no idea Keats died so young. What a pretty cat. I have a calico, but she is a pastel calico. Grays and peach instead of orange and black. That kitty looks ver relaxed and tranquil. Must be meditating on the poetic words of Keats. such a striking pic. i love the colors. cheers!! Oui, il y a des chats à Rome, et il y aura toujours des chats ! This one is really cool. And what a cutie as usual. This is such a great shot. Grave sites really can be so majestic. Add a cat to the scene and it's even more so. Thanks for the heads up on the Kindle edition of Keats. I picked up a copy. I have occasionally visited grave sites for their history. This sweet little one is an addition to the beauty of the grave yard. I had no idea Keats died so very very young.